Hello! Our assignment for today is a ruffian manicure. 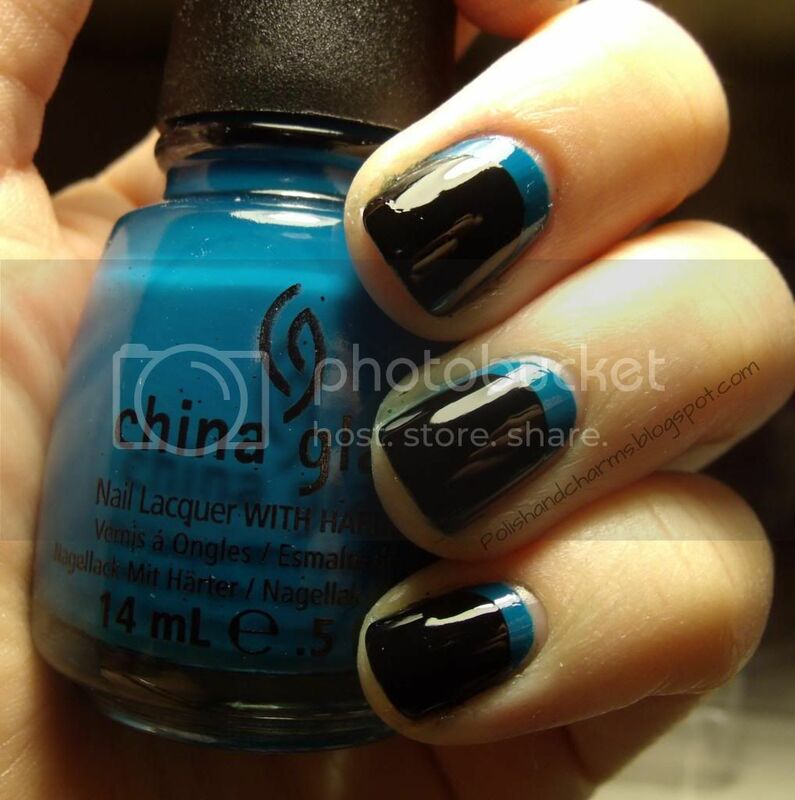 I used China Glaze Hanging in the Balance and then Nina Ultra Pro in Black. The brush on that was perfect for this. I did this free hand and I think I did pretty good! I also added a matte top coat. Also, I've added a page where you can see all my past manicures. Enjoy! Don't forget to check out the other mani's for today! I totally am diggin' the matte! So cool! Love it BOTH ways, matted and glossy! Perfect colors for the ruffian, awesome job!! Ooo this is awesome! It looks great matte and shiny!! Lovely ruffian! I love it matte! Nice ruffian! Love it matte! hehe! Thank you! Now I shall call everything smexy! I'm surprisingly loving the matte version of this! Love the color combo! Love this and the matte effect looks fantastic! We are Twinsie Twinsies! Love it. The matte is awesome. I adore this color combo! Great job!! 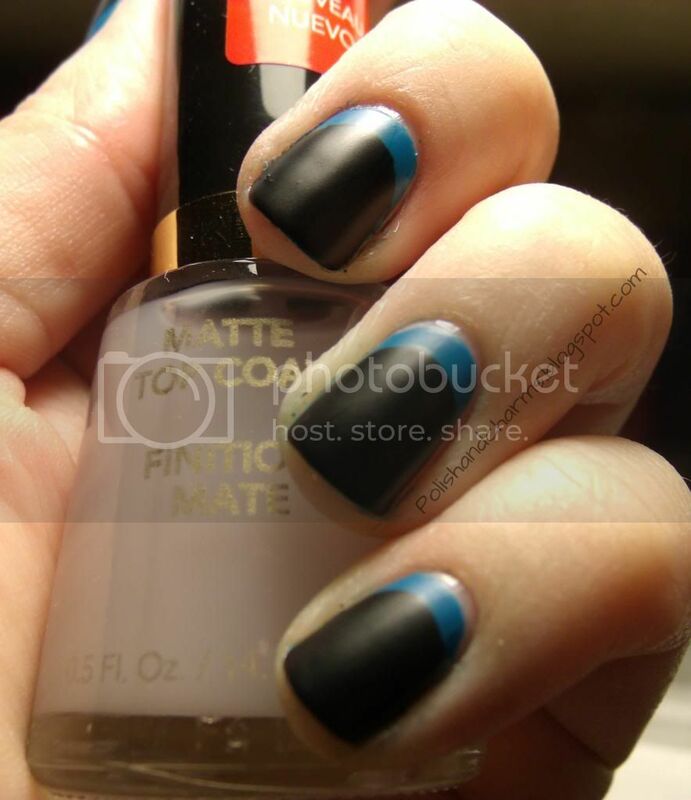 I am normally not a huge matte fan, but I absolutely love the matte ruffian you did here! Looks awesome! These are so pretty! I just love ruffians! This reminds me of the '70s, although I'm not sure why. Very cute!